Faced with a long-term crisis, beekeepers are demanding the support which will allow them to survive. The following is an interview by L’Humanité’s Marie-Noëlle Bertrand with Henri Clément, President of the National Union of French Beekeeping. Marie-Noëlle Bertrand: Following action from beekeepers, the government has announced the launch of a package of measures to monitor bee mortality. Is this what you were expecting? Henri Clément: What we are expecting is financial support. If they spend six more months collecting data and setting up committees, beekeepers, particularly the youngest ones, will go to the wall. I know of one who had 220 hives but now has only five left! He is going to have to call it a day; that is a real tragedy. MB: Hasn’t there ever been an official record of losses? HC: Beekeepers have been declaring losses for years without any action being taken. Many of them have become disillusioned and have given up doing this. We have been recording abnormally high mortality rates in swarms in France for more than 20 years but there has never been any compensation, nor any systematic research into the causes. What beekeepers really want to know is why their hives are dying off. If we are going to address this issue, we need to take samples and analyse them quickly; if we don’t do this, samples degrade and it is impossible to see what has happened. However, government services lack manpower and resources. There have been some serious examples, like in the Pyrénées Orientales, where millions of colonies died off. In 99 percent of cases, there was no follow-up analysis. MB: But there has been an updated “bee plan” in place since 2013. HC: That’s all just hot air, a PR exercise. What happened to the money? We don’t know. One thing is for sure, though, it didn’t get down to grassroots level. MB: In 2016, the French beekeeping sector suffered the worst year in its history. How were things in 2017? HC: No better. For the second consecutive year, honey harvests have been poor, at around 10,000 tons, to the point where we have had to import massive amounts of not particularly high-quality honey to meet demand. Those coming from South East Asia are of particular concern to us. This year, the only piece of good news for us has been a measure adopted as part of the farming and food laws. From 2019, it will be obligatory to state the country of origin on the packaging of blended honey. MB: In two days’ time, the awareness-raising days will be taking place. The reaction they are getting is also a positive. HC: Yes. People have a real awareness of the damage being done to bees and beekeepers. We need to keep telling people about the important role that bees and pollination play in providing our food. 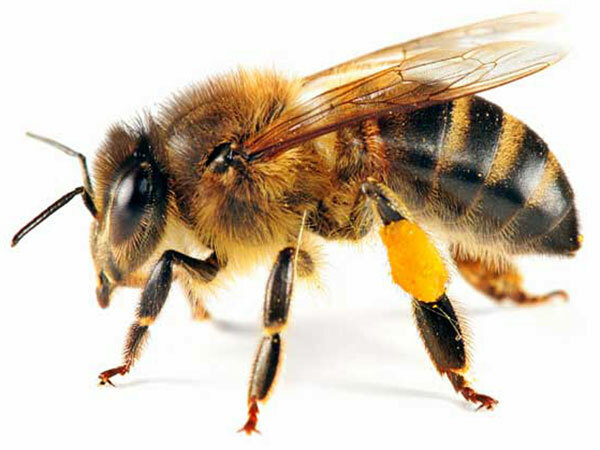 Many people are still not making the link between bees and our vegetable plots. If we didn’t have bees, we wouldn’t have carrots, onions or leeks. The variety of food we enjoy is only possible thanks to pollinators. And let’s also be clear: if there were no beekeepers to manage the bee population, we would have no bees.